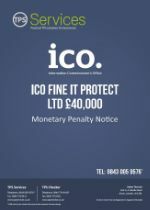 IT Protect Ltd, based in Bognor Regis, claimed to have purchased opted-in data for their campaigns, but crucially had not carried out any due diligence on the supplier to confirm that the data was actually opted-in. This failure to conduct proper due diligence essentially meant that IT Protect Ltd could not rely upon the alleged opt-ins at all. It has long since been established by the ICO that relying on your suppliers assertions about opt-ins is not acceptable. You must conduct your own due diligence. IT Protect had 35 complaints made against them with the ICO and 122 complaints made by people registered on the TPS. This is the first nuisance calls fine issued by the ICO since it took over management of the TPS. The company appears to have targeted the elderly, pretending to be BT and then attempting to sell them a call blocking solution. Akin to accident companies hanging out at Accident and Emergency wards looking for business, as obvious a target market as it may seem to some of these marketing companies, it’s simply not allowed because you’re targeting people who are potentially vulnerable. The Privacy Electronic Communications Regulations (PECR) states that marketing calls should not be made to anyone who has registered with the TPS unless they have told the caller that they wish to receive such calls from them. Companies failing to screen against the TPS, who then call people without consent, can expect enforcement action by the ICO. The ICO took over responsibility for overseeing the TPS from Ofcom in December 2016. The TPS is a free service that allows mobile and landline phone users to register to opt out of receiving marketing calls.